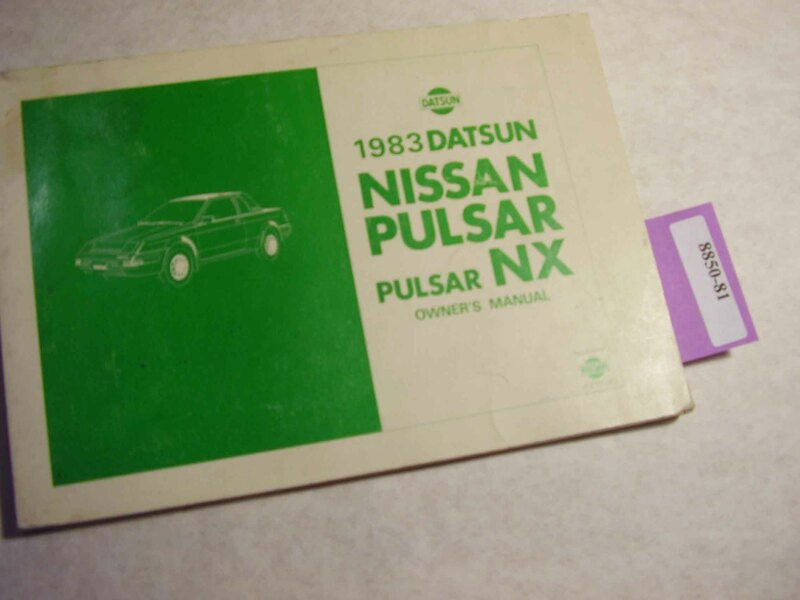 This is a 1983 Datsun Nissan Pulsar Pulsar NX Owners Manual. All of our manuals are individually photographed so what you see is what you will get. Our manuals are graded based on condition: Excellent, Very Good, Good, and Acceptable. For more information please visit our grading page. If you have any questions, please email us.